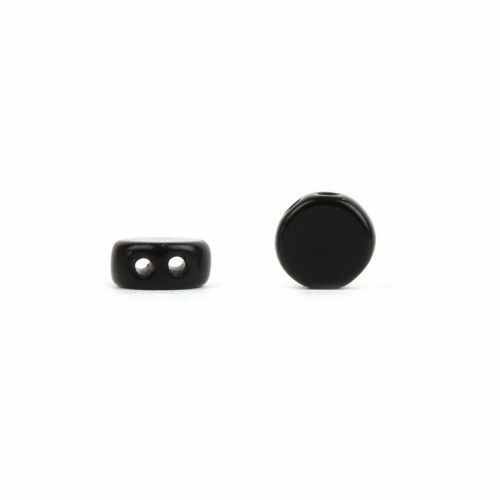 Blend bold colours with this Preciosa pressed glass flat round beads in black. These beads have twin threading holes, making them similar to the Preciosa candy range. The alignment of the holes allows the beads to neatly look like are slotted together. The smooth finish on the beads means they sit nicely and are comfortable to wear. Sold in a pack of 30 beads.